Every one of the chairs which filled the big central space supported a flag of purple, white, and gold. Between the pillars of the balcony hung a continuous frieze; pennants of purple, white, and gold — the tri-color of these feminist crusaders. The audience assembled in the solemn quiet proper to such an occasion, noiselessly took their seats in the semi-circle below and the gallery above. The organ played Ave Maria. Then again, a solemn silence fell. Suddenly the stillness was invaded by a sound — music, very faint and faraway. It grew louder and louder. It was the sound of singing. It came nearer and nearer. It was the voices of boys. Presently the beginning of a long line of boy choristers, who had wound through the marble hall way, appeared in the doorway. The full book is available FREE online. Documentary Short - 15 min. $20 + Shipping - 18"x24"
B) Screen the film and invite Martha to be a part of your local panel of feminists, historians or filmmakers. 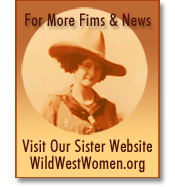 C) Sponsor a Suffrage Symposium. 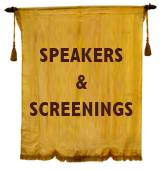 We will bring together a panel of experts on Suffragists. 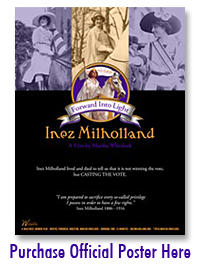 D) Full day event, screening both Inez Milholland ~ Forward into Light and California Women Win the Vote with filmmaker Martha Wheelock. 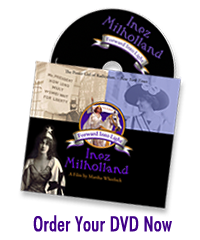 E) Full day event, screening both Inez Milholland ~ Forward into Light and Votes for Women with filmmaker, Martha Wheelock.